Shi...p, I've been ill for the last week and unable to paint my nails, as I couldn't deal with the polish fumes :(. I've finally managed to do them, albeit wearing a face mask with both my windows wide open (yay for no rain today!). So I'm a couple days late posting my nails for my nail challenge, sorry! I used three Sinful Colors polishes to create the marbling, Mint Apple, Rise and Shine and Pistachio-all three are on my favourite polish list; I just love the tones of green! 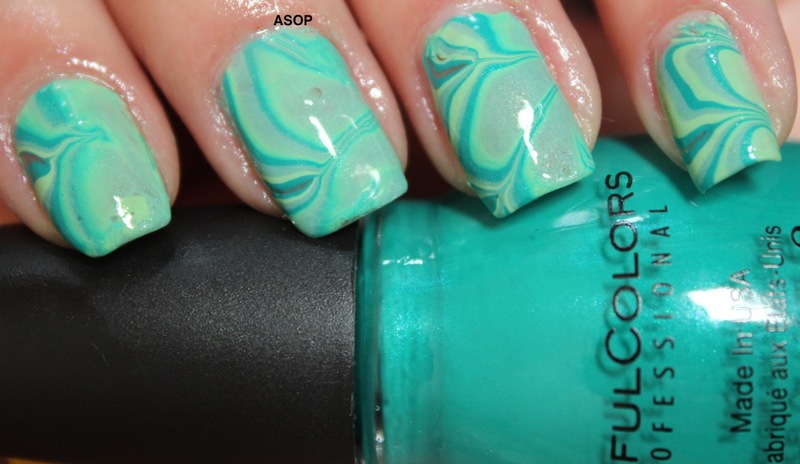 Swirled together they look like toothpaste! 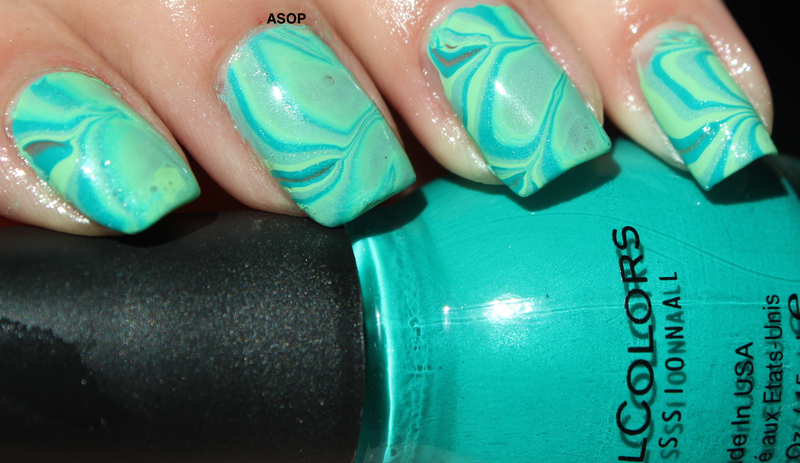 SC are really great for water marbling, especially when they've not been used before-they spread in the water amazingly!